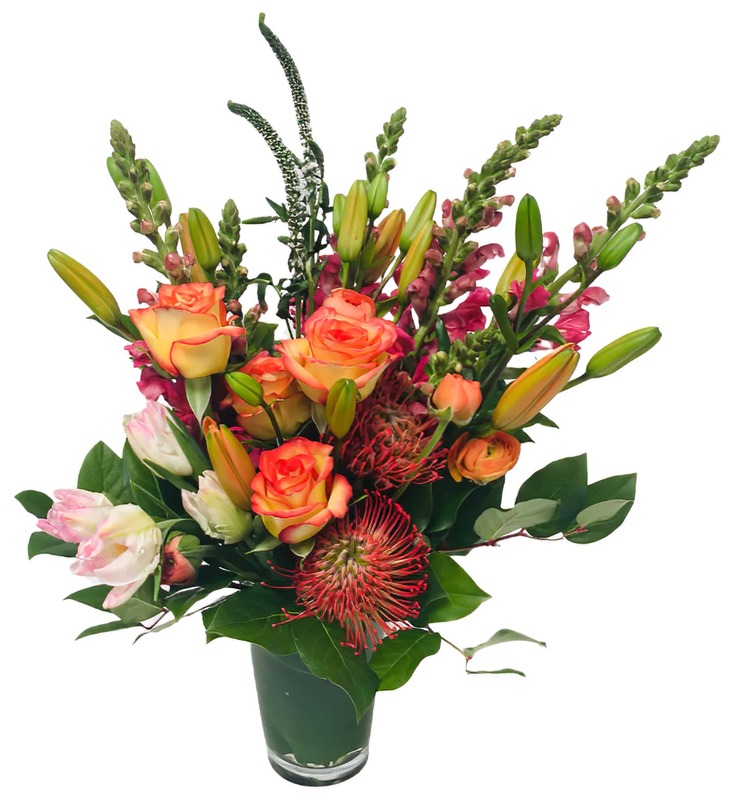 This 6" glass vase holds a monstrous amount of flowers for this gorgeous, warm-colored display of floral. It contains Lilies, Snap Dragons, Roses, Tulips and Pin Cushions along with other greens. It makes a beautiful gift for any friend or loved one!